ECB: 'Vast majority of banks resilient' Jump to media player The ECB says the vast majority of banks proved resilient despite numerous institutions failing a stress test which showed they need more funding. Pressure on ECB to stimulate Eurozone Jump to media player The European Central Bank is expected to announce plans to stimulate growth in the Eurozone. Draghi on ECB rate cut decision Jump to media player As the ECB cuts its interest rate to 0.05%, President Mario Draghi explains that there are some differences amongst council members about how to get banks to lend more money. Ireland's banks are 'risk averse' Jump to media player The ECB should be encouraging banks to lend, in order to kick-start Ireland's sluggish economy, say many businesses. New 10-euro note design unveiled Jump to media player The new 10-euro note, boasting a range of new security features, has been unveiled by the European Central Bank (ECB) in Frankfurt. The European Banking Authority (EBA) has announced that 24 of the eurozone's biggest banks have failed a stress test and must find billions in new funding. The banks now have nine months to shore up their finances or risk being shut down. The worst affected was Italian bank Monte dei Paschi, which had a capital shortfall of €2.1bn (£1.65bn, $2.6bn). At the same time, the European Central Bank (ECB) carried out an overlapping survey of 130 eurozone banks. The ECB said 25 banks had failed its test, but 12 of those had already taken remedial action. 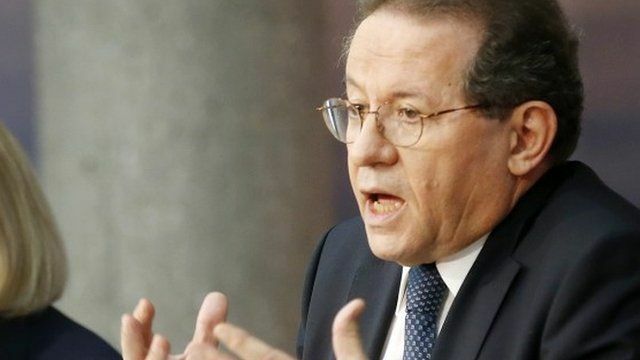 Vitor Constancio, vice-president of the ECB, said that if measures were taken to deal with the problems it would have a positive effect on the European economy.